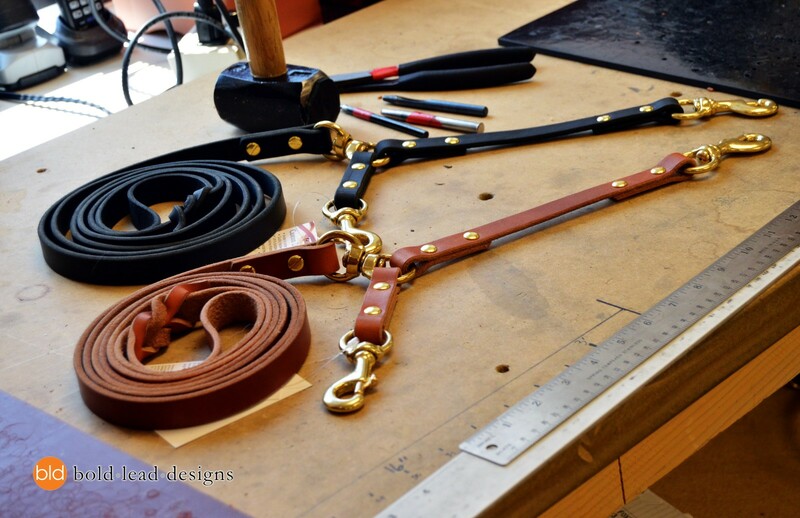 Custom Designed Leather Dog Leash - the leash of your dreams! Made just for you, any way you want it. 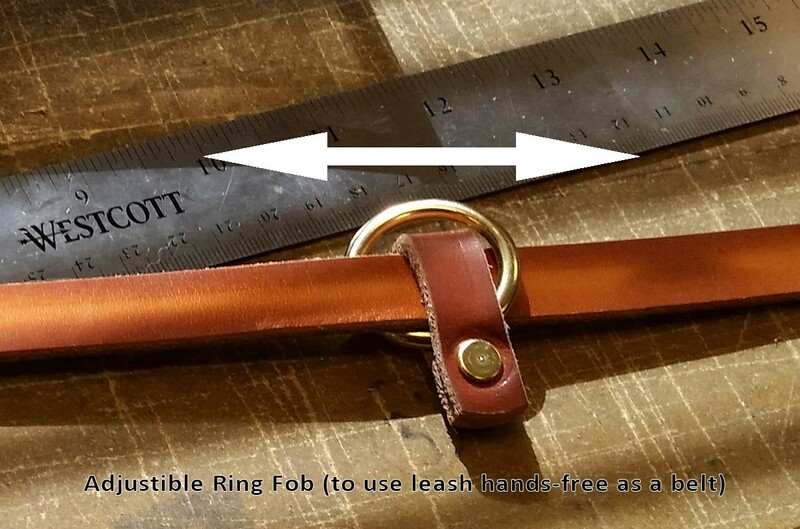 Design your own perfect leather leash! 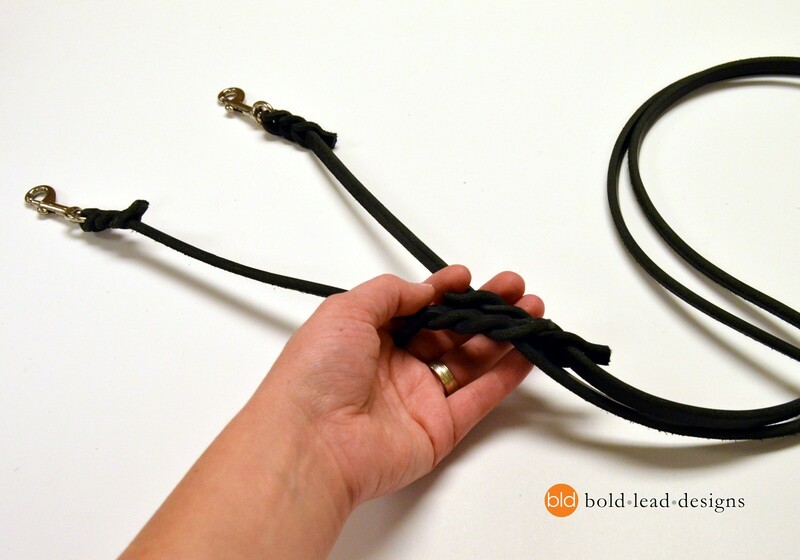 Not finding the perfect dog leash? Here it is. 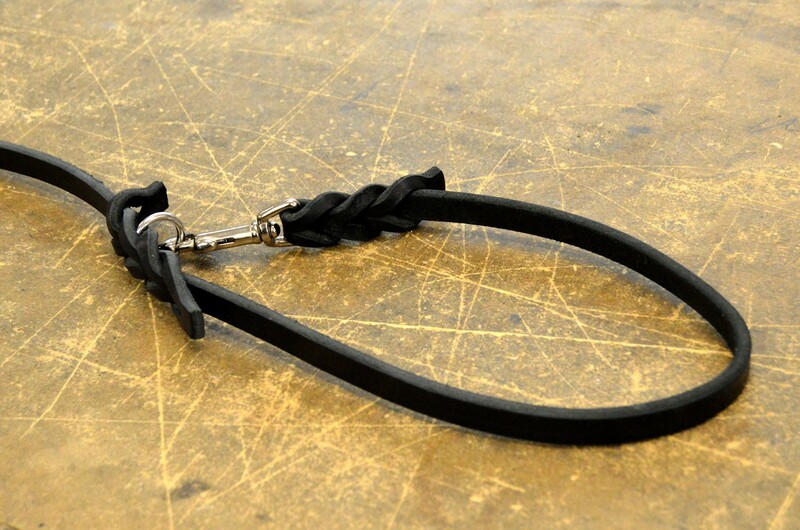 This leash is anything you want it to be. Any size. Any length. Any features. 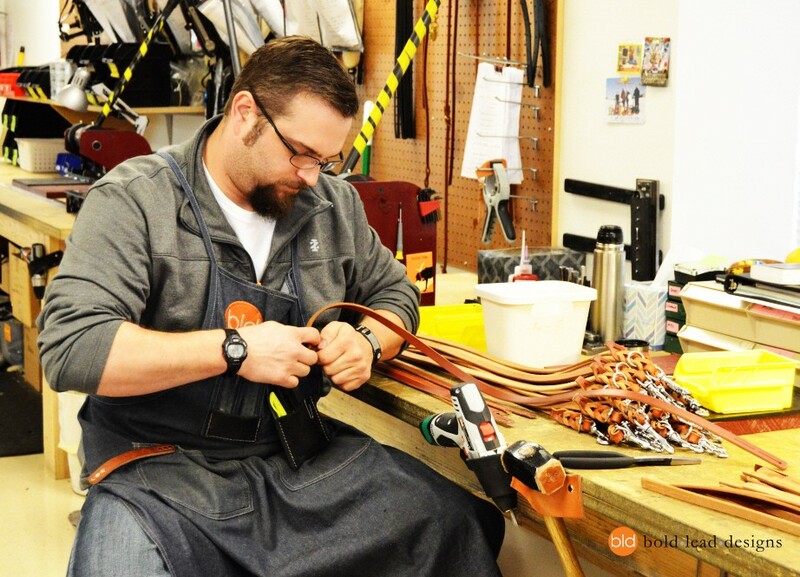 Our craftsmen will assist you in designing the perfect leash that meets all of your needs. 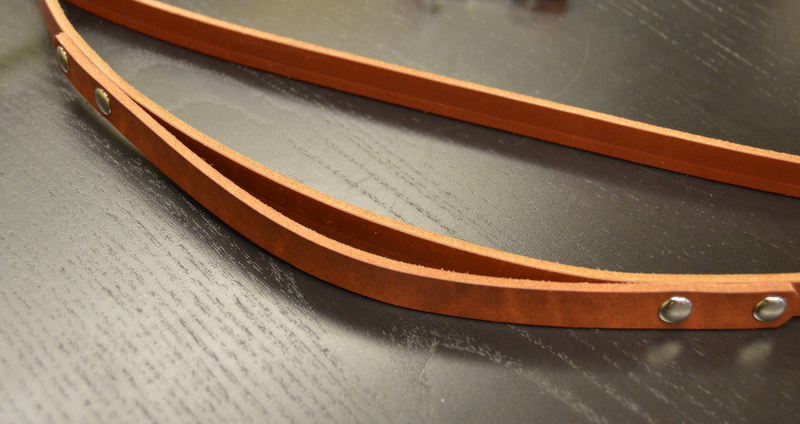 Wow, this is going to be an awesome leash! 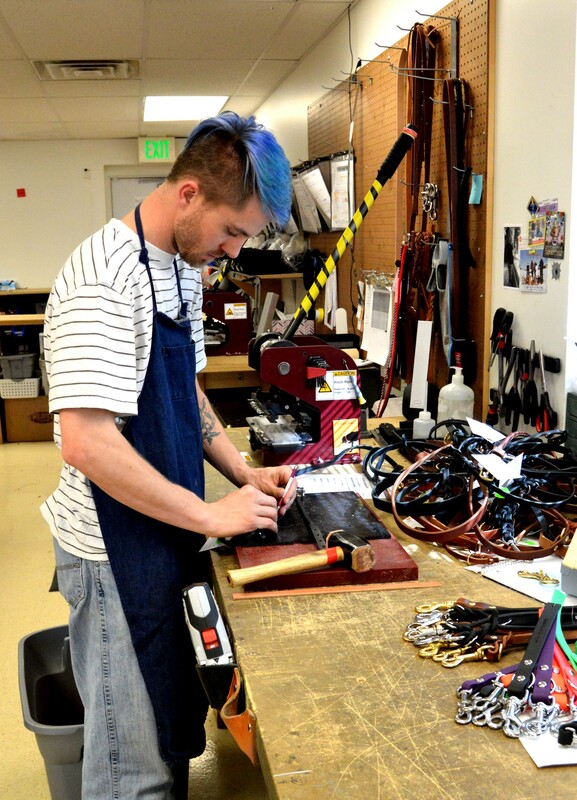 Our satisfaction guarantee assures you will love your custom leash, we even back it with a Lifetime Warranty. 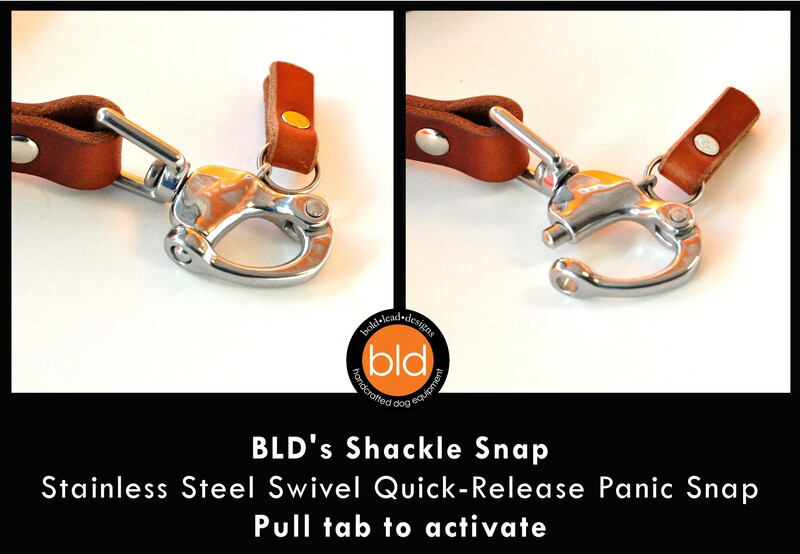 Premium American leather, top quality hardware, in any configuration you’d like. Product details and suggestions for features can be found below. Keep scrolling. Have questions? Contact us. We are happy to offer suggestions if you don’t have the measurements right now–just let us know what you need and how we can help. Tell us all about what you need! We’ll follow up with any questions or suggestions. 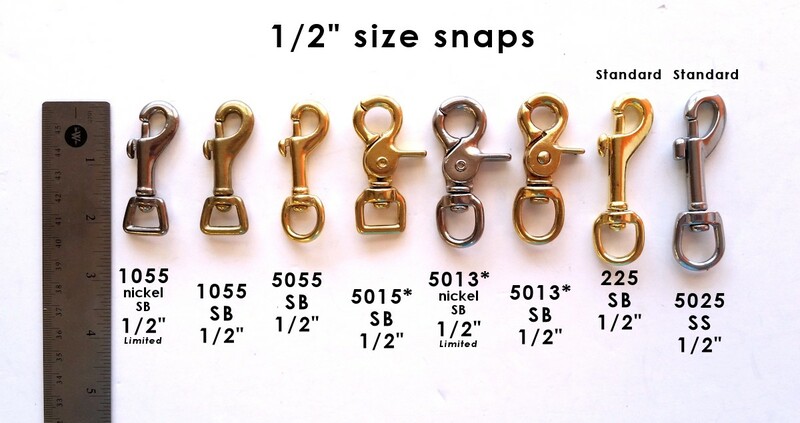 Please be as specific as you can and include measurements. Not sure? No worries. We’ll follow up to discuss. If we need to contact you for more information, how would you like us to contact you? 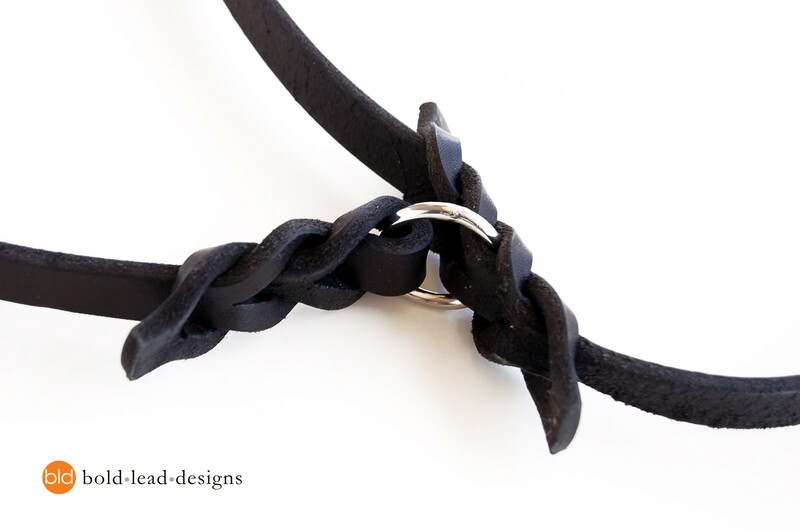 Let’s work together to create a totally unique custom design that suits all of your needs. 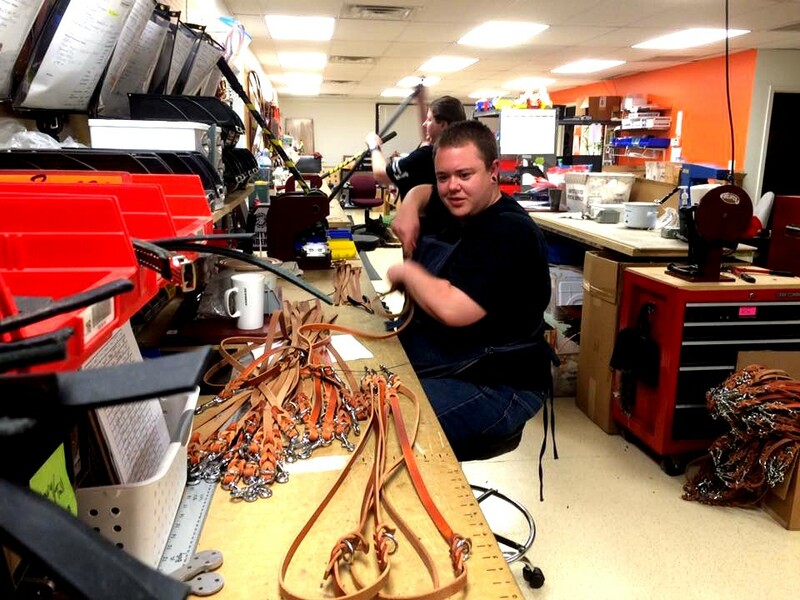 Remember, we guarantee our work and know you will just LOVE your new leash. 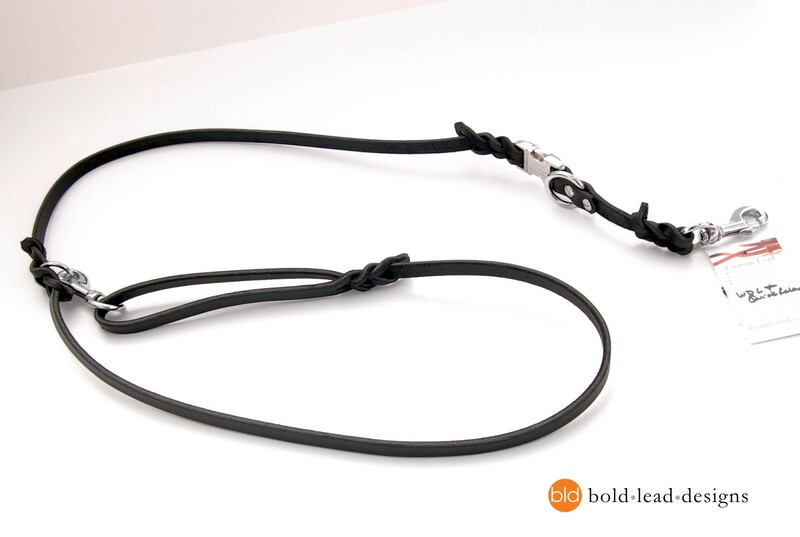 Bold Lead Designs’ Lifetime Warranty assures the highest quality and durability available. Even if you’re not exactly sure what you need, just let us know what you want from your leash and we’ll make it work for you. 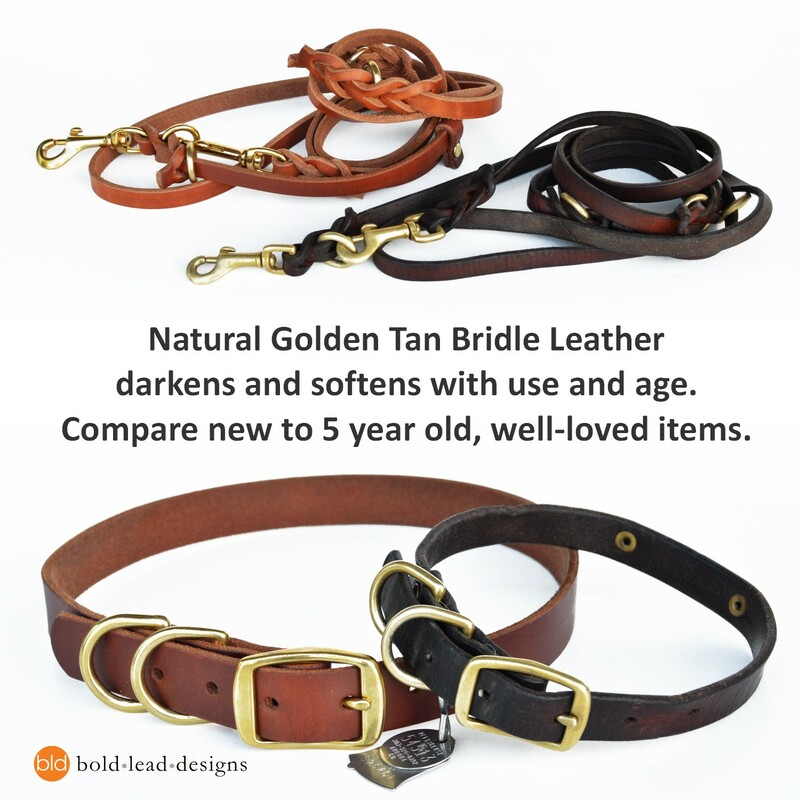 Black Latigo or Tan Bridle Leather? 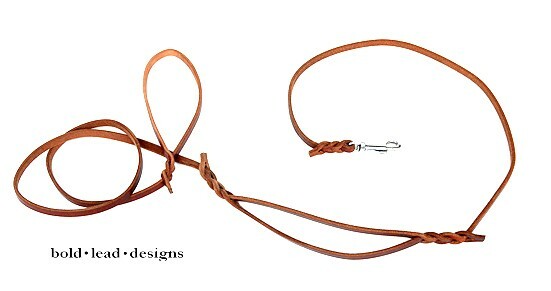 Next, how would you like the leash to attach to the dog? 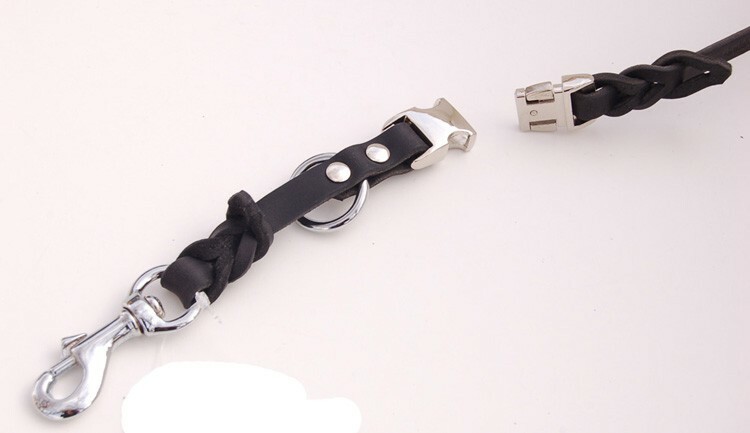 a leash snap to attach to his collar or harness? See photos for hardware options. 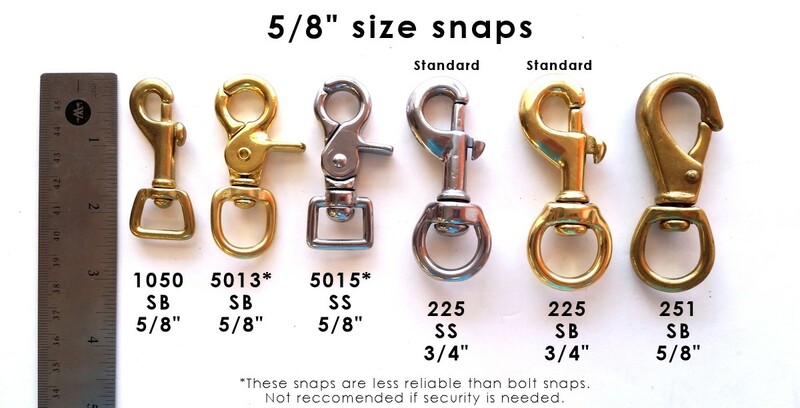 Standard bolt snap? This is our standard hardware, it’s the most reliable. 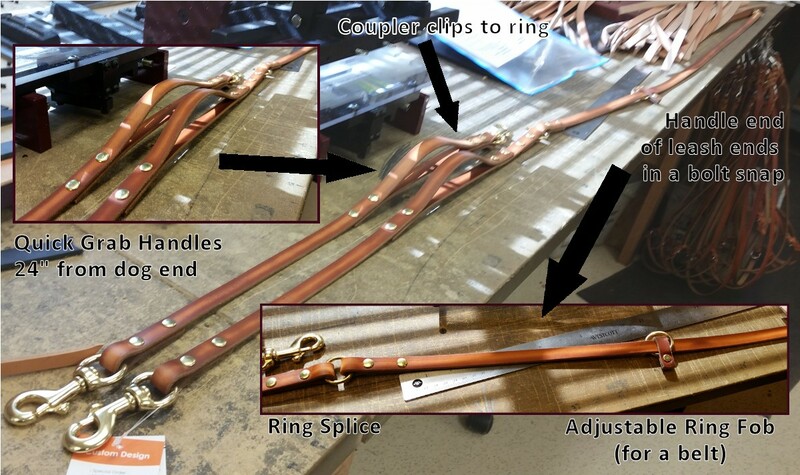 Brass or chrome brass unless specified. Scissor/trigger snap? Some people find these easier to operate, but they are the least reliable hardware in our experience. If there’s a specific hardware part number you’d like, please notate your preference. a built-in collar? 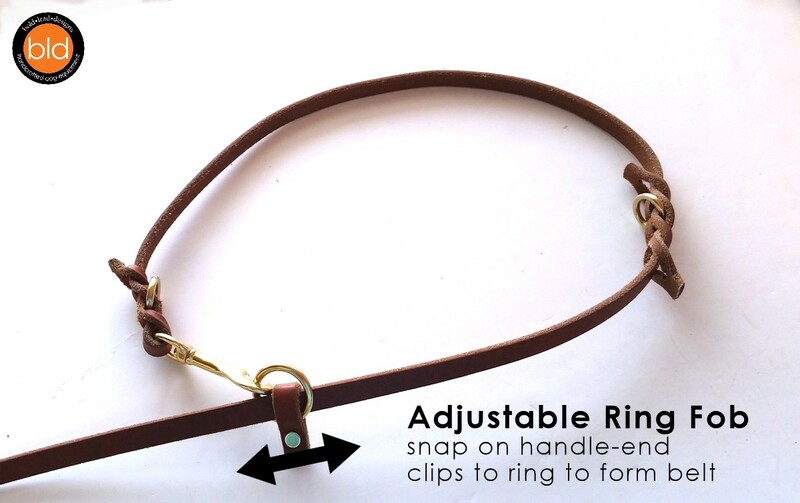 The Fastener-Free Collar is a great option. See it here. What do you want the leash to do? What activities do you do with your dog? How will you use it? Do you want hands-free options? 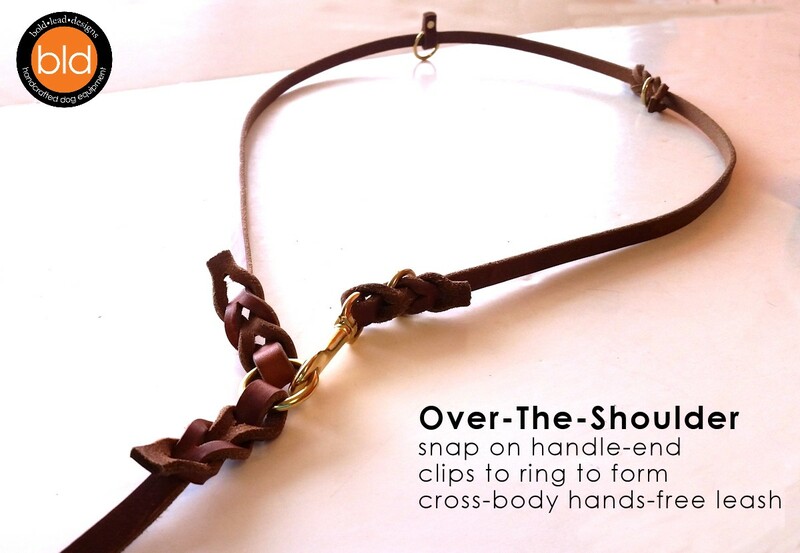 Wear over your shoulder, like a sash? 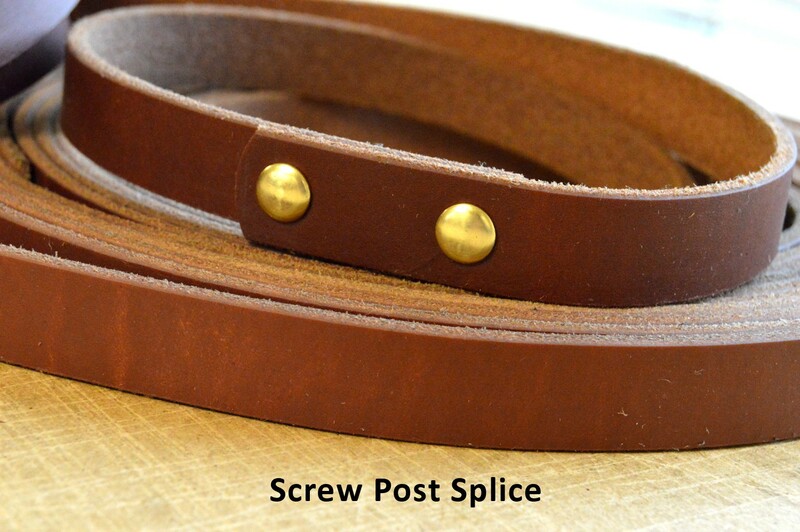 Around the waist, like a belt? End with a bolt snap? 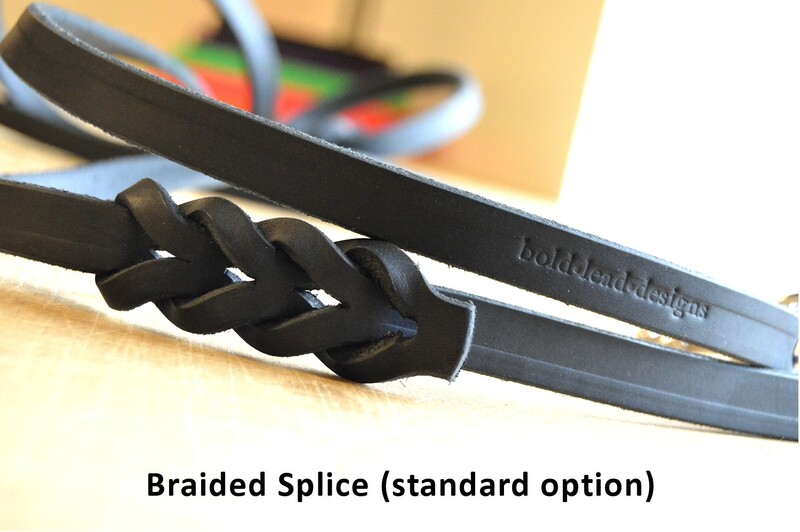 Specify the lengths you need. 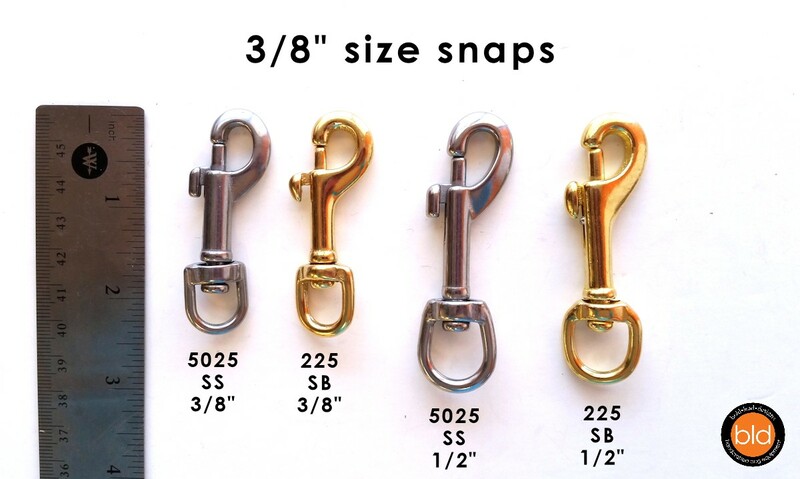 Just do some measuring in the various positions and activities you will want to use the leash for! 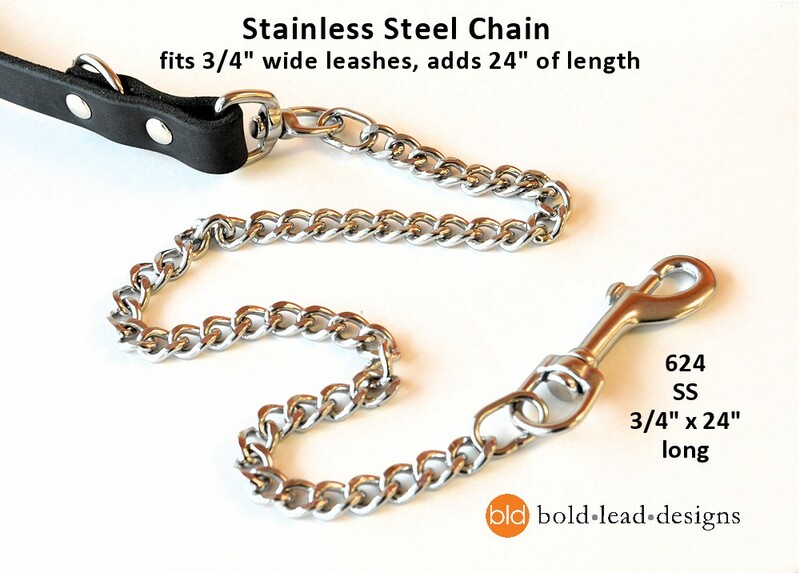 Perhaps you want to wear the leash hands free, and have enough leash so your dog can lay down, THEN shorten the leash when he stands up. Measure each position and pass the details along to us. 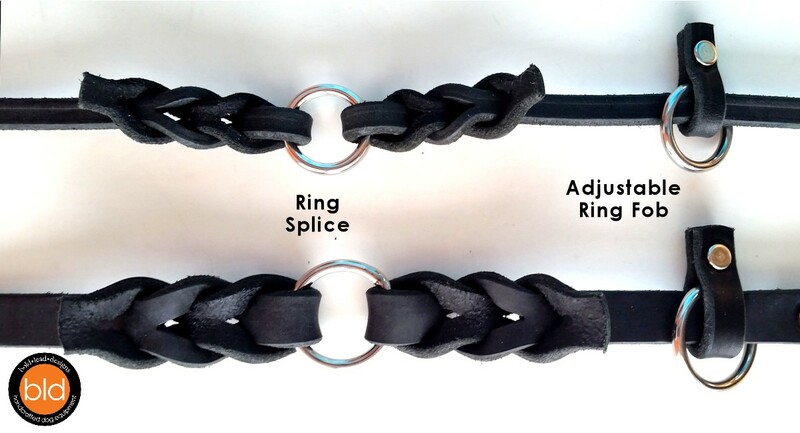 Would you like fixed rings? 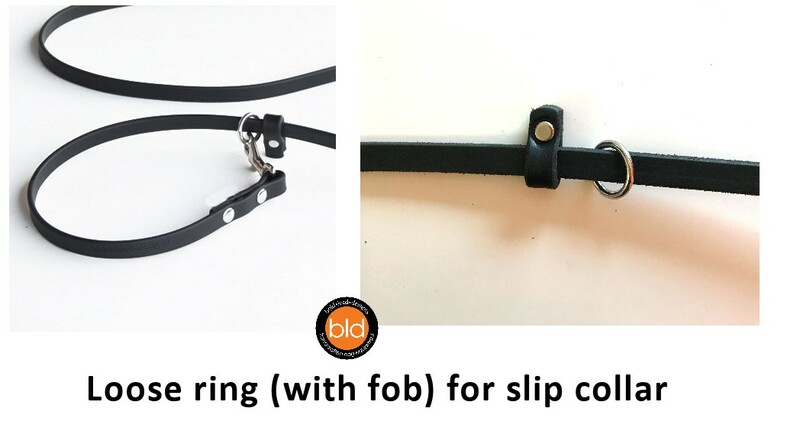 Loose rings? 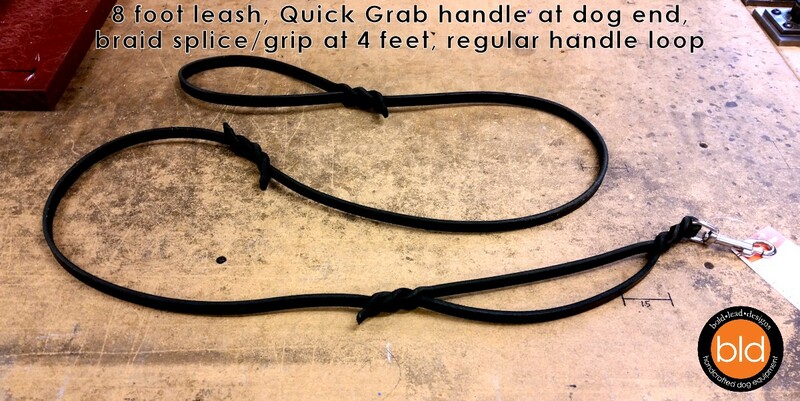 Braided grip points? Extenders? Swivels? Detachments? Other special features? 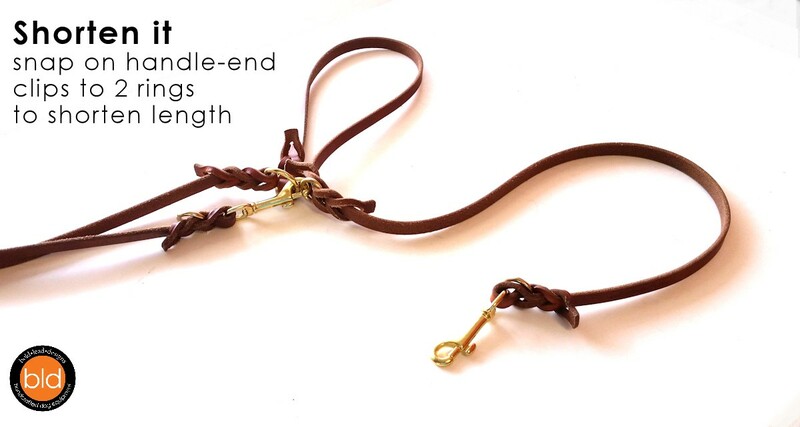 All in one multi-dog leash? Whatever you like! 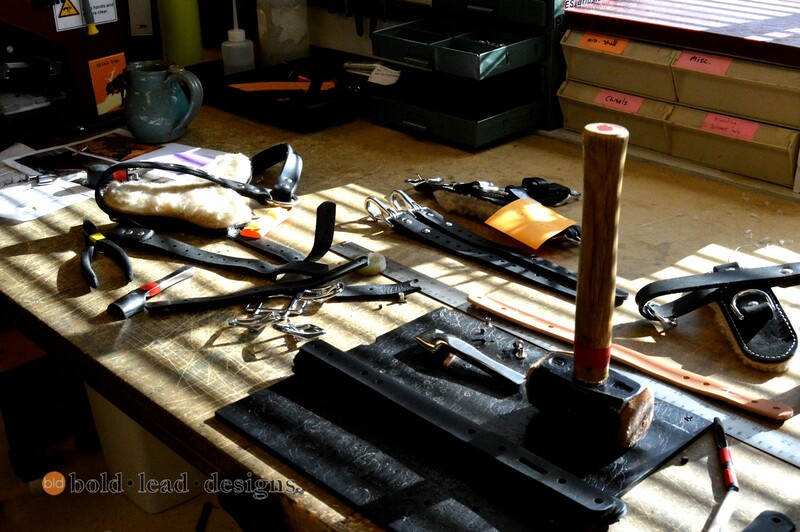 We will offer recommendations and advise get you what you want, and find the best way to construct your dream leash. 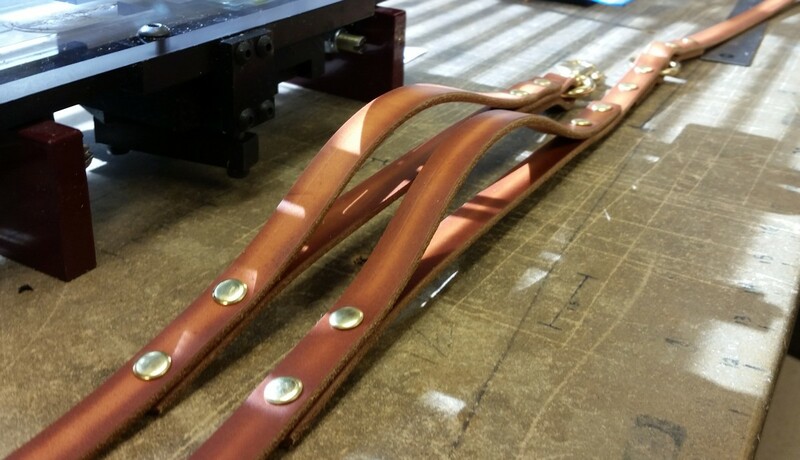 We are experts in this sort of thing, and know our materials and tooling methods well–we’ll be up front if a request can be made more elegant or improved by tweaking the design. Trust us to find a great solution for your needs! 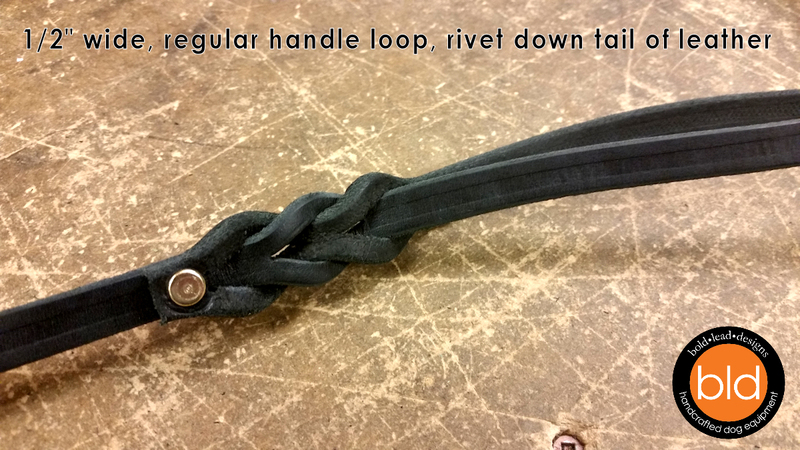 If you like one of our existing leash designs, but only need minor changes to make it just right, this may be less expensive. 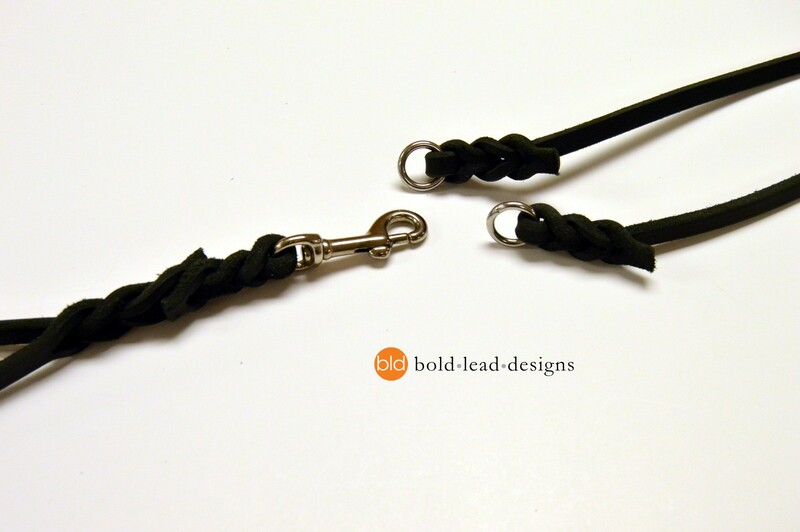 Customizing one of our leash designs starts at only $5 per modification. Have questions? Just contact us, we’re happy to help! 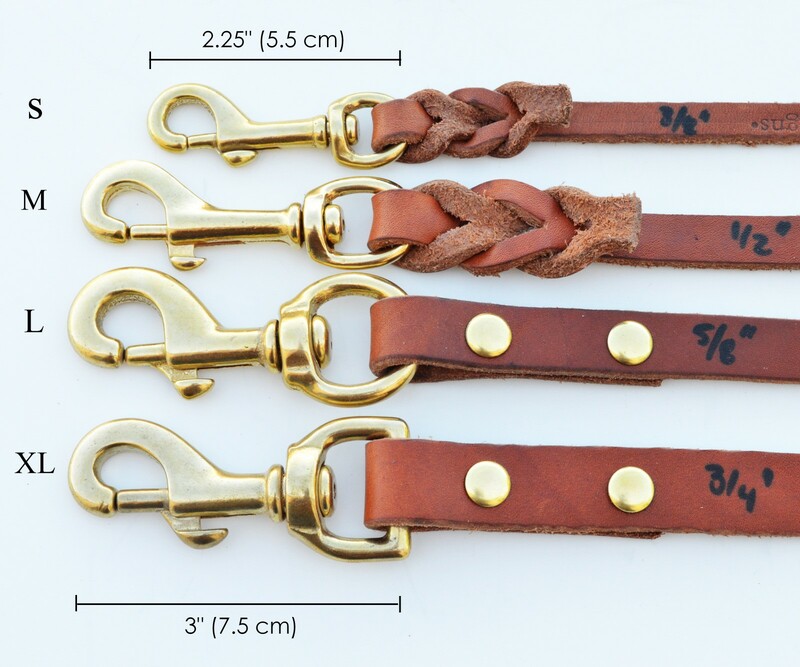 8 reviews for Custom Designed Leather Dog Leash – the leash of your dreams! 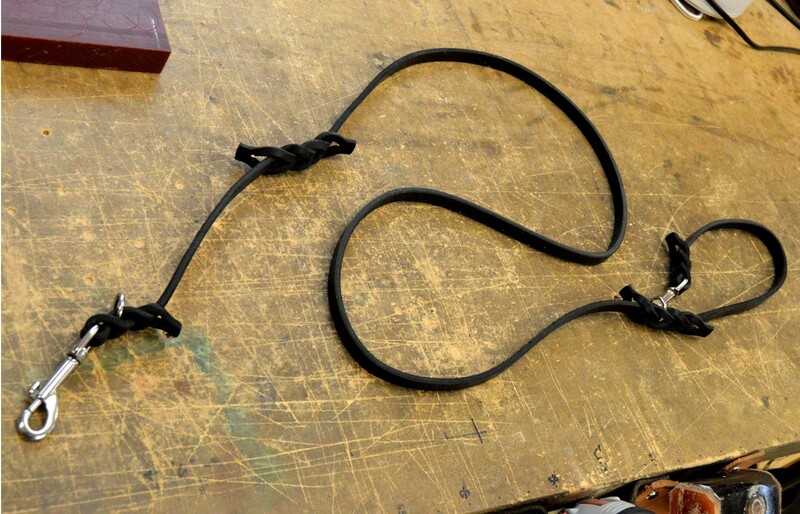 I had my leash made in May of 2017, and it has been through the ringer since. Bold Leads took the drawing I made of what I wanted and they made suggestions that made it even better than my imagination had pictured. They were also able to take the special snaps I wanted and incorporate them into the lead. I’ve put this lead through plenty of dirt and accidental creek plunges in the time I’ve had it and it’s held up perfectly. This is a lead that will last for years without a doubt. 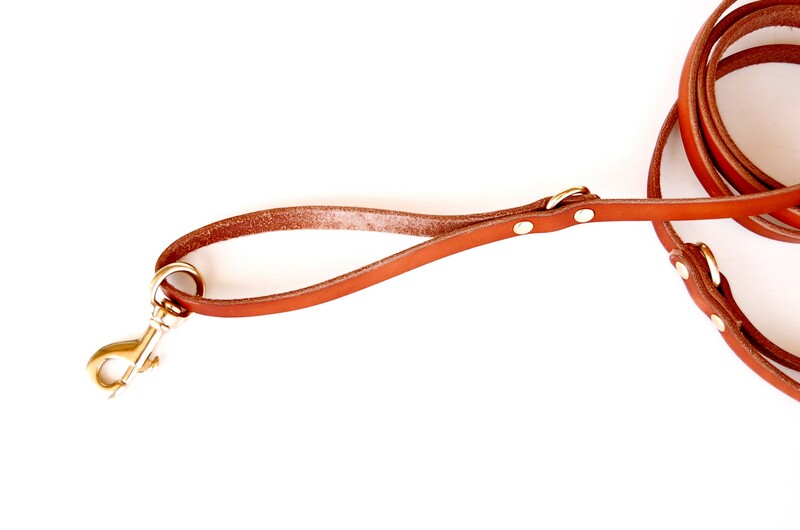 I would spend the money over and over for this quality of leash. 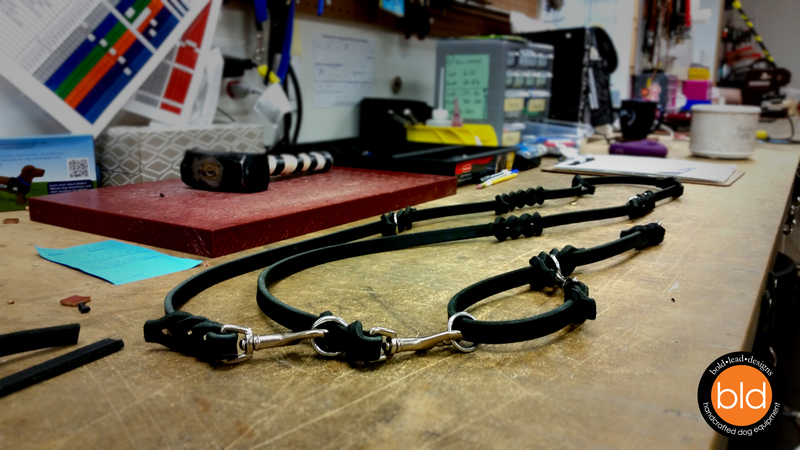 I am extremely happy with the gorgeous martingale collar and custom leash we received in the mail today. 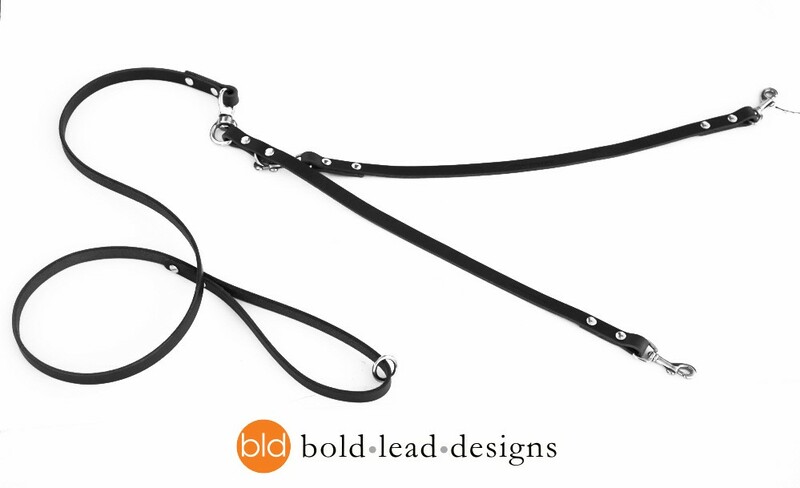 Bold lead designs is now my go to for equipment. Beautifully made, wonderful customer service, and they made my custom order so fast. 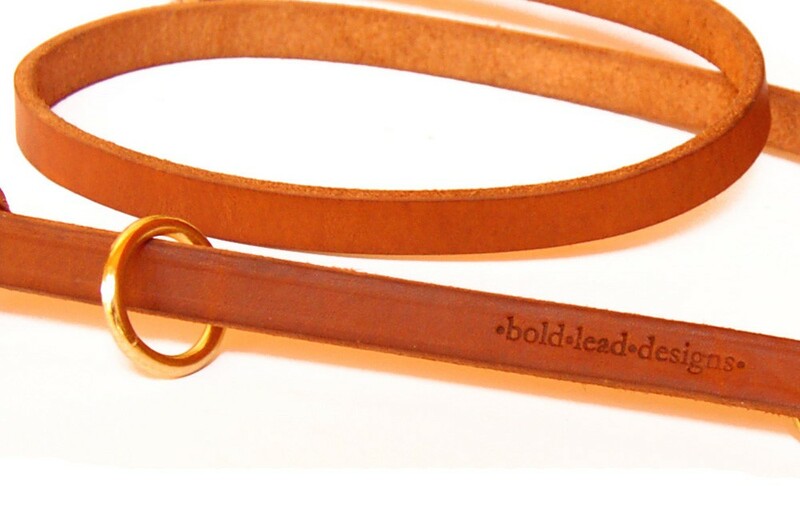 I had two long leashes customized by BLD. I am very particular about placement and finishes, and they nailed everything. 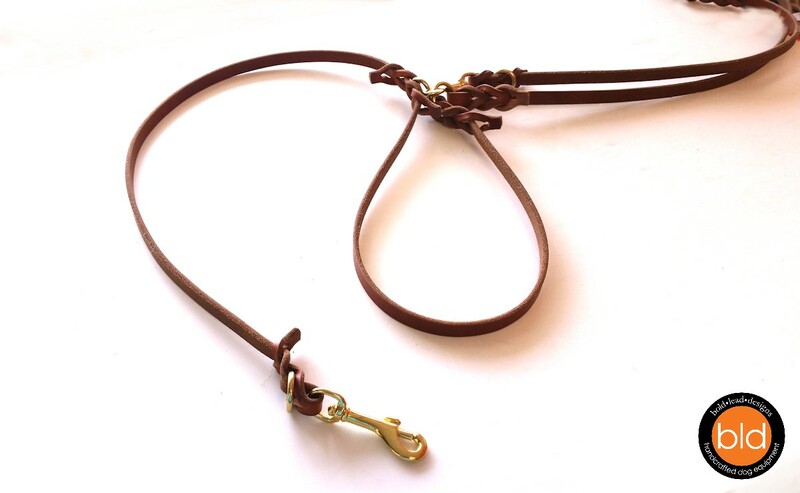 Every time I think I thought of my perfect leash, I thought of something else to add or change and they would accommodate it if possible. If they couldn’t, they would explain why. The service was amazing, from time of manufacturing, speed of communication, quality of product and ease of customization, I couldn’t find one thing to even begin to nit pick about. 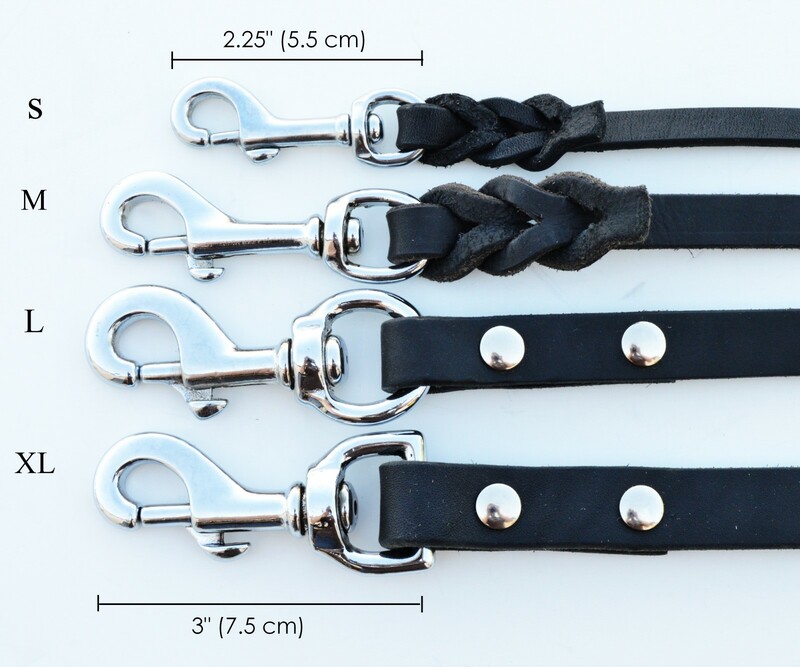 I’ve already started thinking up my next custom leash for the future dog I don’t have yet. 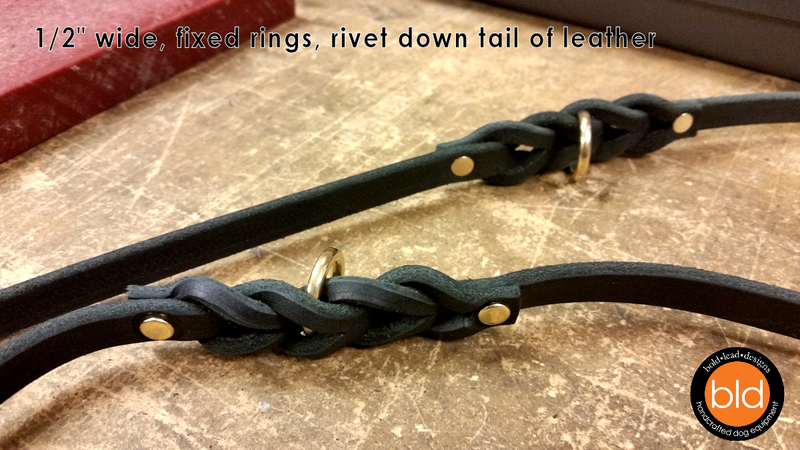 Katrina customized an 8-way leather leash for my service dog. 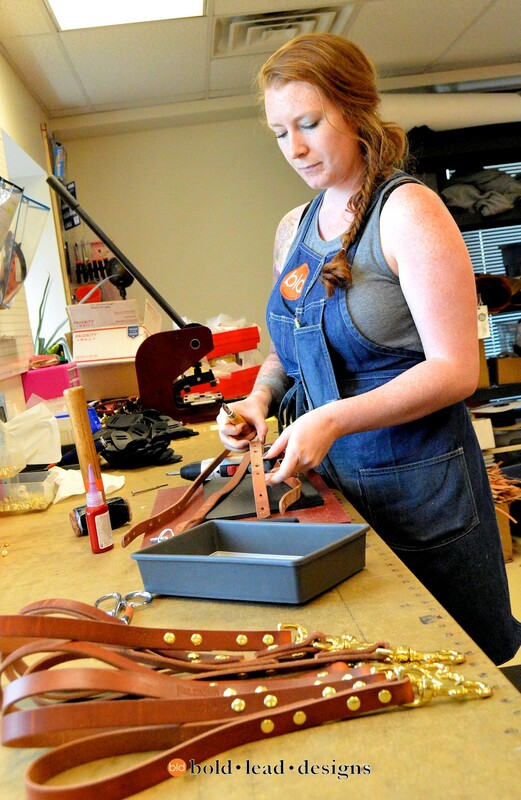 She was hands-on all the way and even used fasteners that she preferred not to use. I have used this leash for years, and it has traveled the world with us. 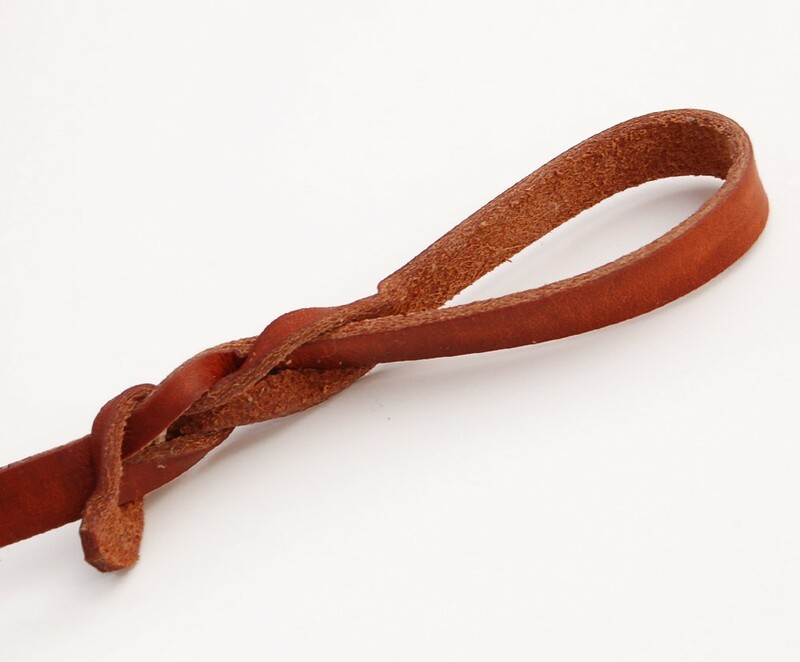 It shows no wear and is so beautiful, soft and comfortable, and easy to use. I am hands-free with the dog, so can rummage through my purse while opening a door, and my dog remains at heel and safe. 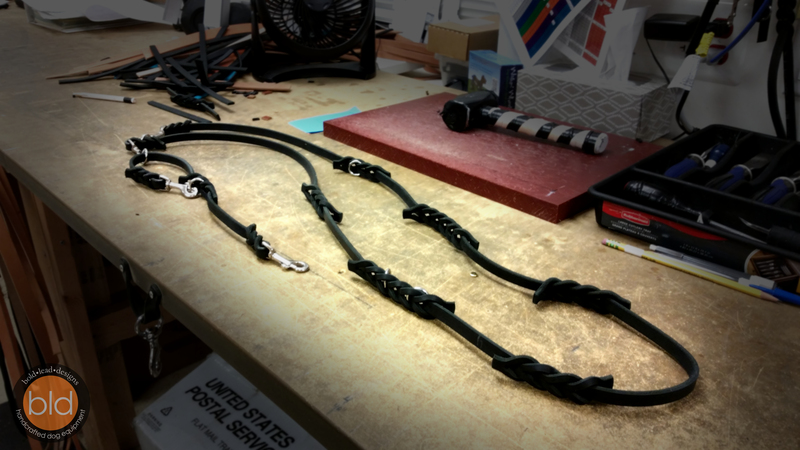 A custom leash that I ordered arrived today. I just wanted to let you know how thrilled with it I am. It’s such a beautiful, well-made product. 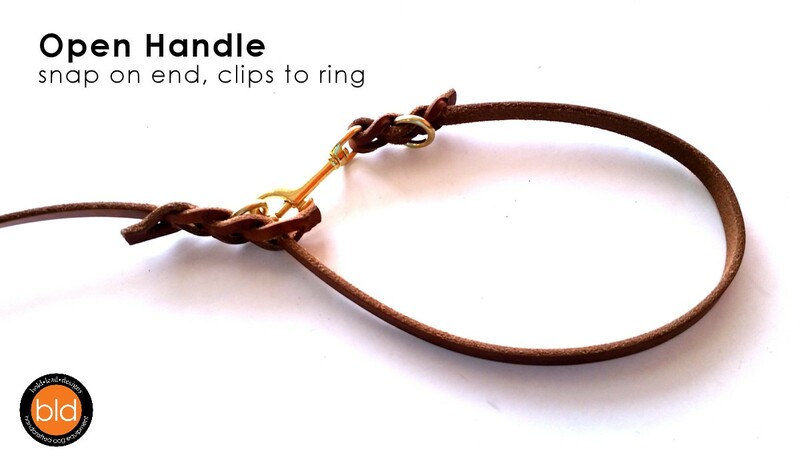 The quality reminds me of very nice horse tack. I look forward to using it for many years. 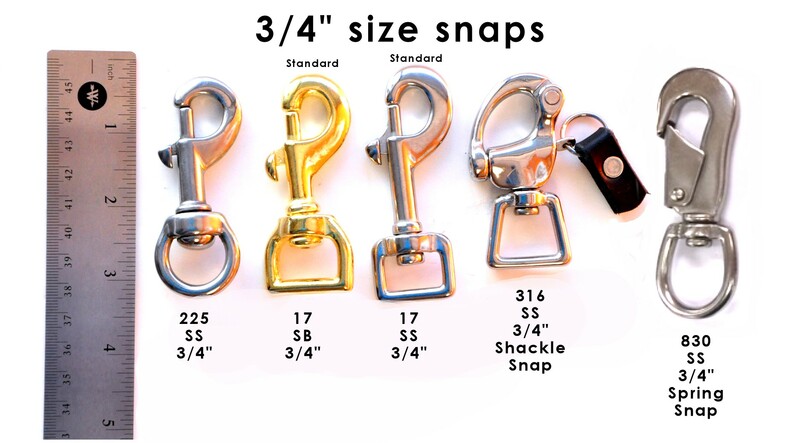 Additionally, I’m very happy with the locking jaw snap (thoughtfully recommended by an employee) as a solution to prevent my dog from flinging off traditional bolt snaps whenever she shakes. 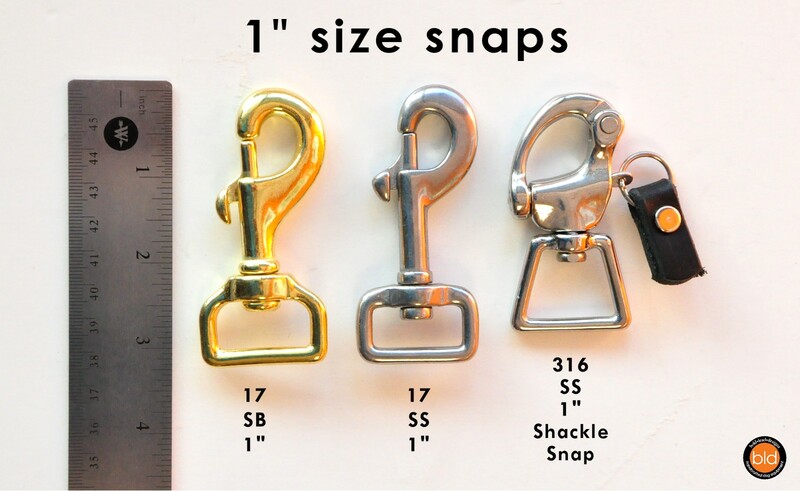 The snap is very easy to open and close, but super secure. My solution until now has been using a leash with two bolt snaps, so she’s still attached if one shakes off. I’m happy to start walking her knowing that she will stay on the leash no matter what, and I can stop checking to make sure both bolt snaps are attached *every single time she shakes*. 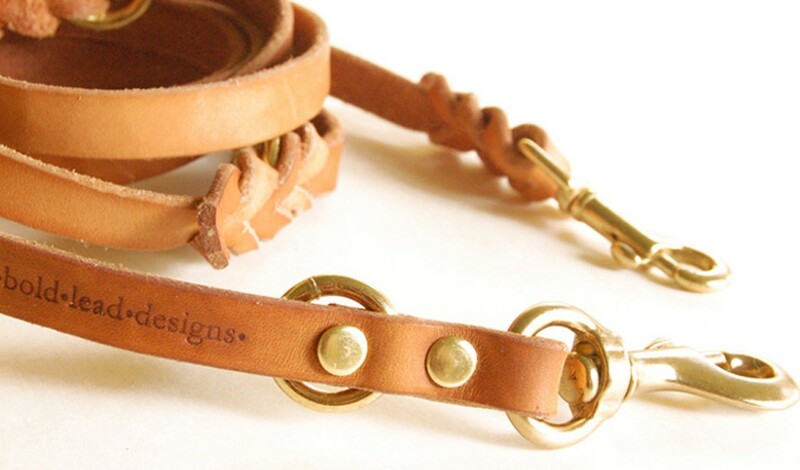 I look forward to ordering a new collar to match the fabulous leash, very soon! 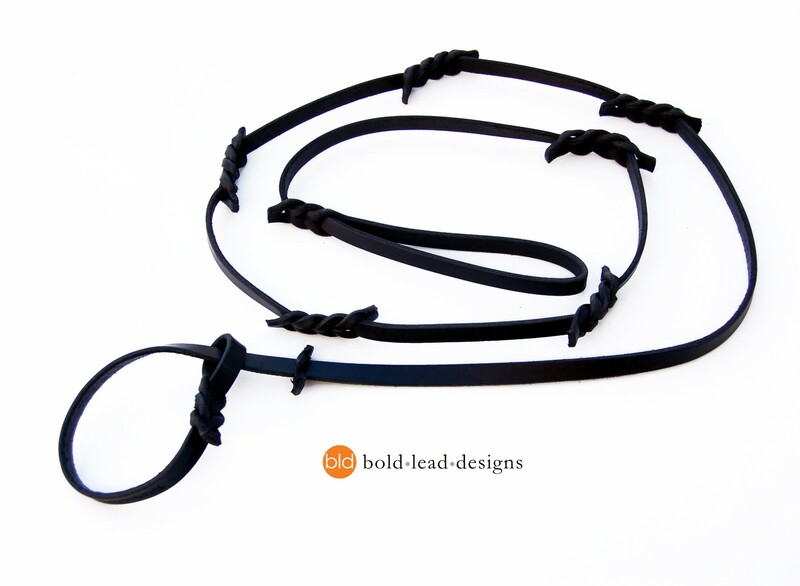 My experience with Katrina and Bold Lead Designs was exemplary! The lead I needed was of an unusual design to meet a very specific set of needs. The finished product is of excellent quality and the creativity in addressing my particular requirements is outstanding. I have nothing but praise to offer for Katrina and her work. 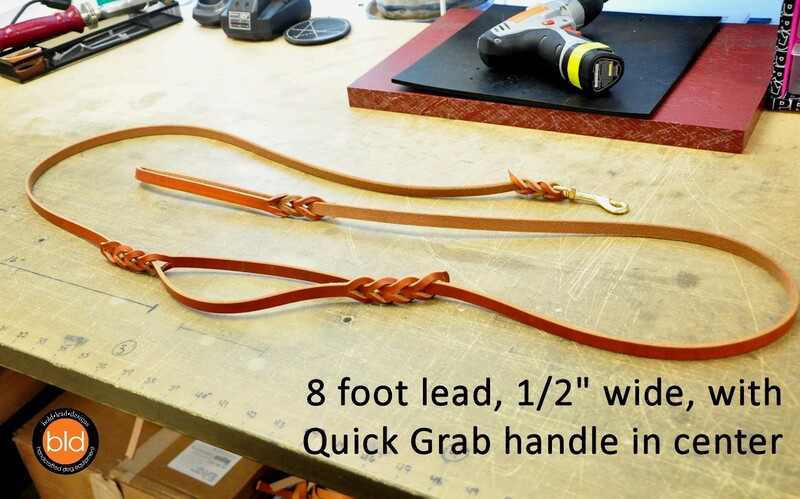 If you’re searching for a creative and practical design for a custom lead, search no further. You’ve found your solution right here. 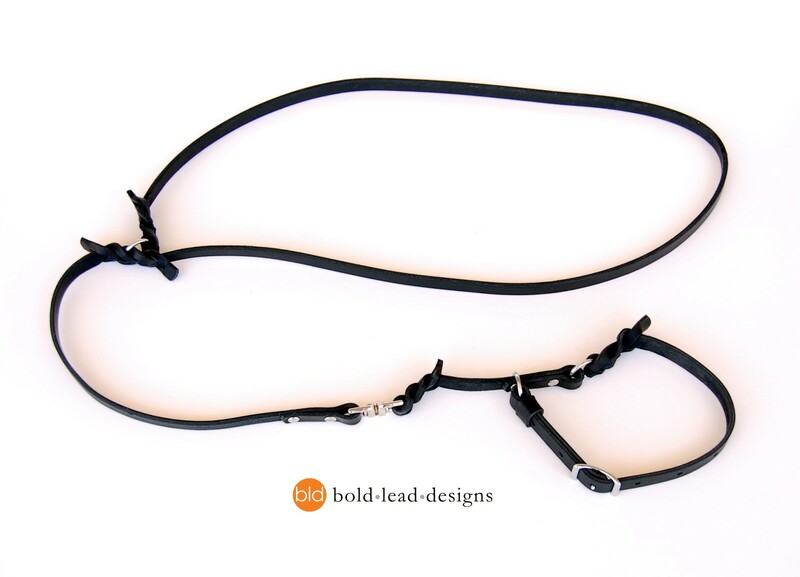 Bold Lead Designs made me a custom 13 foot lead. 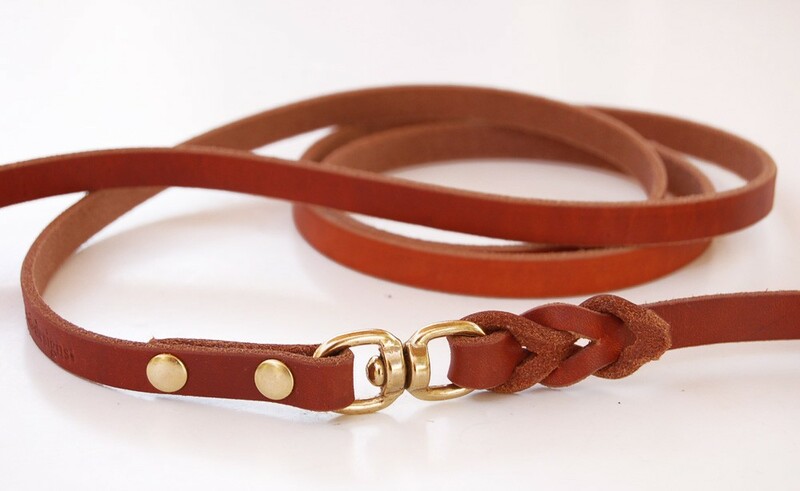 The leather is very soft and feels so nice in my hands when handling my dog. The hardware is heavy, top quality. Overall, this is the best lead I have ever used. 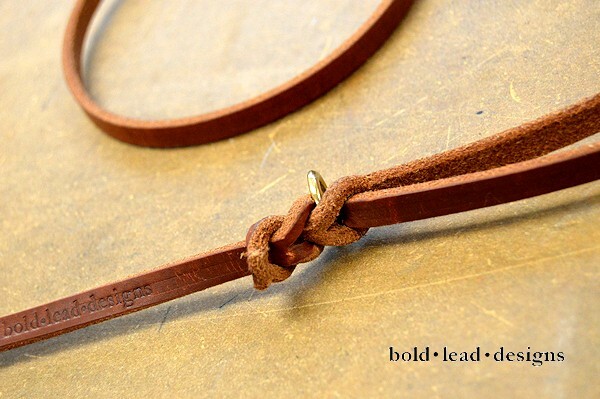 I highly recommend Katrina’s work at Bold Lead Designs for anyone who wants a top quality lead. 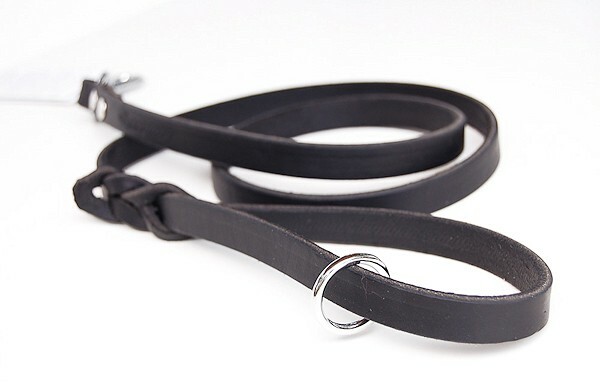 I always spoil my dog, I bought this lead for me and I am so glad I did. Both my dog and I LOVE it!